Olympic gold medalist Larry Cain has won the Chattajack race for the second year in a row, crossing the line in a course record of 4 hours 58 minutes, just seconds ahead of Bart de Zwart and Mike Tavares. 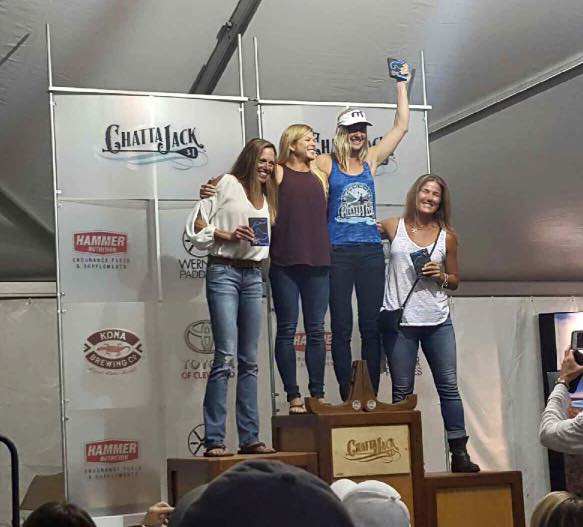 In the women’s, 11 City Tour heroine Seychelle Hattingh crossed side by side with Kimberly Barnes to claim equal first. 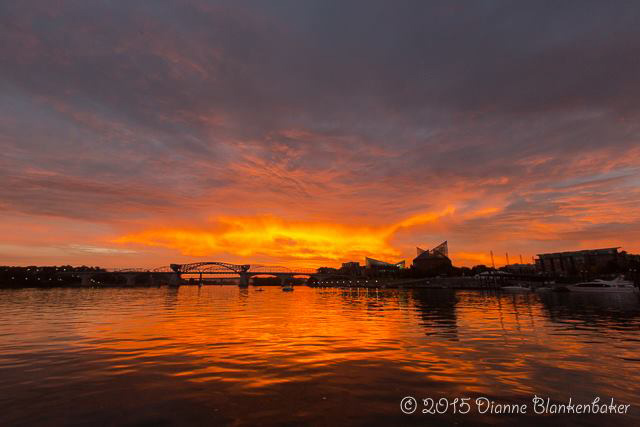 On race morning, paddlers were greeted with a beautiful sunrise over the Tennessee River Gorge, as 300 SUPs, paddleboards, surfskis and canoes sat on the start line in Chattanooga, Tennessee. Larry, Bart and Mike broke away early and worked together for the entire 31 mile course, before settling the final positions with a “sprint” to the line in the last few hundred metres. Corey Taylor was the next best, crossing the line just two minutes behind the lead trio for a well-deserved fourth place finish. 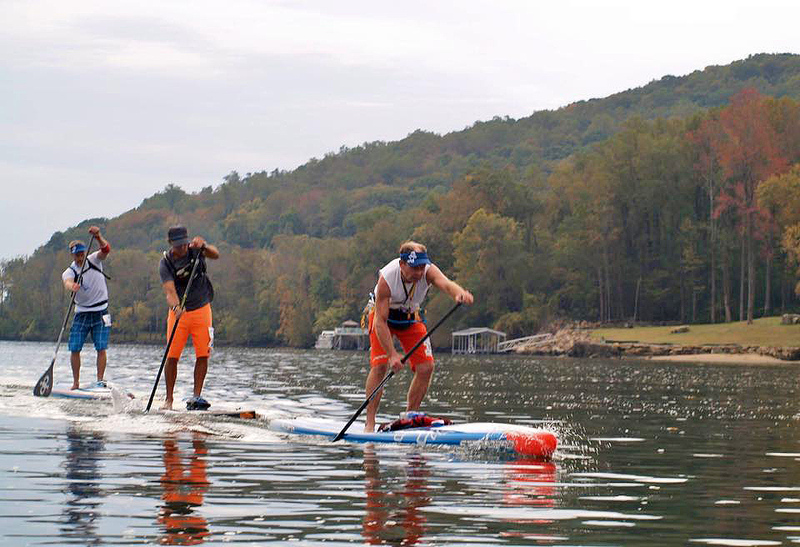 Cain, the 500m canoeing gold medal winner at the 1984 Olympic Games, is an absolute machine when it comes to SUP racing. I once described him as an “ageless robot” for the way he keeps himself in peak physical condition. He’s 52 years old. The long-time Quickblade team rider, who recently added Starboard to his list of sponsors, keeps track of his meticulous training regime over on his blog (well worth the read), and also works with the next generation of Olympians on the Canadian canoe/kayak team. Larry’s time of 4:58:01 is a new course record for the 14′ division, 7 minutes faster than his victory last year. Bart and Mike were seconds behind. Greg Jaudon actually took line honours (and a new overall record) on his unlimited SUP, however the biggest division was 14′ for men (and 12’6 for women). “Awesome race. Perfect conditions though less current than last year. Bart, Mike and me worked together the whole way. Managed to break 5 hours and beat last year’s record by more than 7 minutes. Bart told me that while he was happy with the result he wasn’t feeling as fit as wanted. 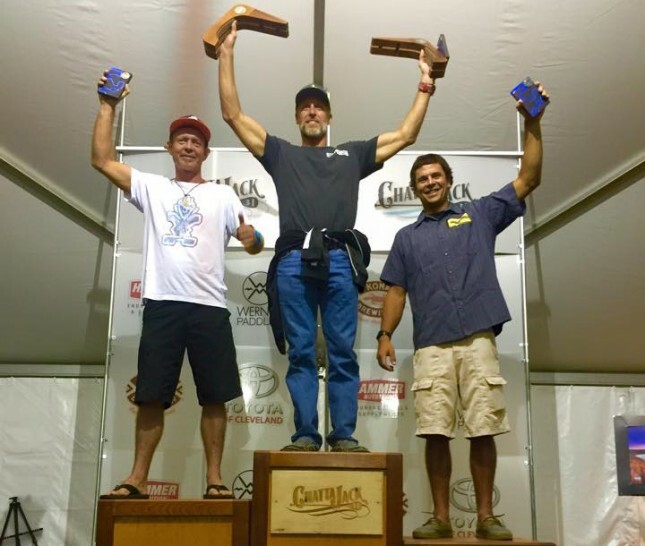 The Dutchman-turned-Maui-native, famed for his crazy expeditions and 4x winner of 130 mile SUP 11 City Tour (Chattajack wouldn’t have even been a warm-up for Bart), said it was a great event and will be doing a full write-up for us, so check back tomorrow for more insights into this crazy race. Chattajack is unofficially known as the Inland Molokai because of its grueling length (31 miles) and the fact it sells out almost every year. The 2015 edition sold out in record time. 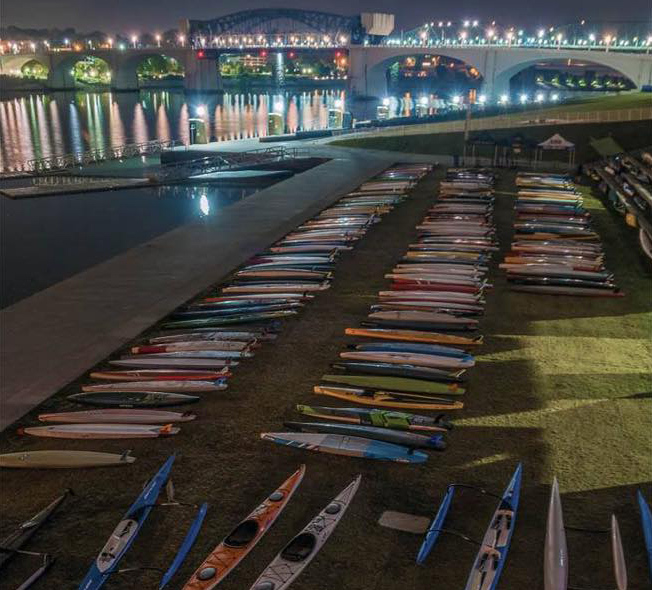 It’s one of those great races that truly encapsulates the spirit of paddling. In a similar vein to Holland’s (in)famous 11 City Tour, the Chattajack race seems just as much about finishing as competing. Definitely add this one to your bucket list. Thanks to Distressed Mullet for a heads up on the results. Snap Great Photos has a few more shots of the race up on Facebook. The “Final 200m” on the results sheet below shows how fast each paddler made the final sprint to the line (though not sure how many would have been “sprinting” after 31 miles of paddling). Quite interesting to look at the different times among the top guys here; seems this is right where Larry Cain pulled away and opened his gap on Bart and Mike. As is standard with races in the US, the top men were on 14 footers while the women had to slog it out on 12’6 boards. Click here for raw results, including prone, surfski and outrigger divisions.